This season, Constitution Park is celebrating a them with the year 1964. Seeing The Fab Four in Camarillo to celebrate The Beatles 50th anniversary was an absolute no-brainer. You can set up camp and claim your spot in the park to see the show 2 days prior to the actual concert. 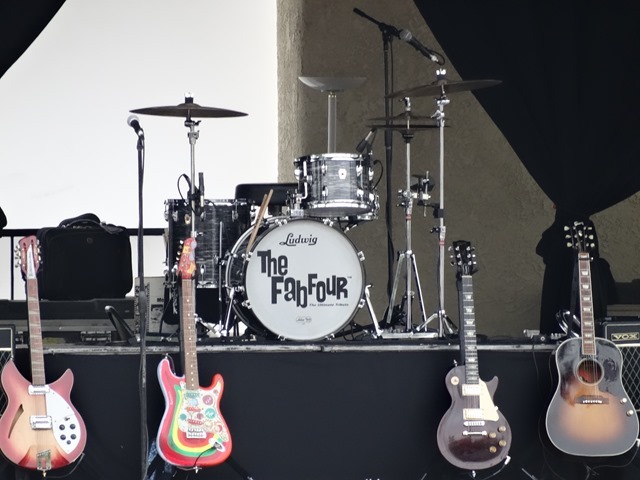 Easily the greatest Beatles tribute band in the world, there isn’t another band that even remotely comes close to the quality and perfection of their live shows. About a year ago, they put on an incredible live TV performance for AXS TV’s The World’s Greatest Tribute Bands at the Roxy in West Hollywood , which they rightfully lived up to the title of being the best. They proved it again when they delivered another stunning performance at The Canyon Club in Agoura earlier this year.